Are you a recent college graduate looking for advice on how to make the transition from college to the real world? Do you wonder if there is a book out there that can speak to you right where you are? There is! 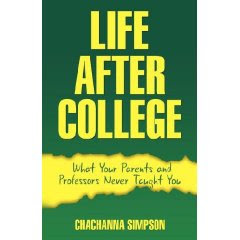 Life After College: What Your Parents Never Taught You by ChaChanna Simpson is a wealth of information for twentysomethings on how to go from college life to the real world. In less than 150 pages Simpson manages to provide advice on moving back in with your parents, finding your first apartment, getting that first job, opening up a bank account, and so much more. This book even covers how to set up a budget and how to protect yourself from identity theft. There are also chapters on physical and emotional well being, how to provide for retirement, information about insurance, and how to set up a will. And all this is information is provided to the reader in a language that will be appreciated and easily understood. I found a great deal to like in this book: it’s size–easy to carry around to read while waiting for the bus or for an appointment, the amount of information included, the no-nonsense way in which the advice is presented, the tales from other twentysomethings included at the end of each section, and that even at my age I learned a thing or two. There were a couple of things, however, that I questioned because they didn’t seem quite right to me. 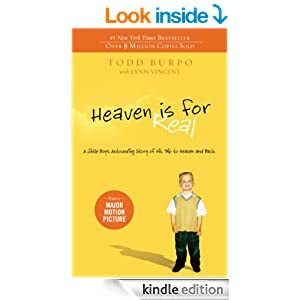 On Page 106 it says, “Your medical insurance will only pay for you to see the doctor when something is wrong with you, not before to prevent something from going wrong.” This is not entirely true. Depending upon the insurance plan you select, you are allowed one wellness check-up with your primary doctor annually and women often are allowed an annual visit to their OB/GYN. In addition, many HMOs and PPOs allow for at risk candidates to be screened for potential diseases like cancer. Deductibles may apply, so be aware of what your plan covers. On Page 108, the book says, “Organic just means that the produce hasn’t been grown using chemicals or had chemical pesticides sprayed on it. The produce is picked green, which isn’t supposed to happen.” Having recently been in touch with Sandy Powers, the author of Organic for Health, I asked her about this and she said, “Organic food is prohibited by law to have any synthethic pesticides, irridated components, genetically modified organisms or reprocessed sewage.” Sandy went on to provide me with a study from Rutgers University that stated scientists have proven the superior nutrional value of organic food. She also says that typically, organic foods are not harvested until after they’ve ripened, which is why they are more rich in nutrients. This also accounts for their shorter shelf life versus non-organic foods, which are often picked green. Simpson provided her sources in the text, often times providing URLs for websites, and I think if she had gone one step further and included a few appendices that reiterated these sites again for readers the book would be even more valuable. I found myself underlining sites I wanted to visit in the future, but a list of them at the end of the book would have been helpful. Overall, I think twentysomethings will highly benefit from Life After College. It provides a wealth of information to make moving beyond college life much easier. Welcome to The Book Rack! We love books! At The Book Rack, we offer a chance to get to know your favorite authors through interviews, guest posts, book spotlights and even giveaways. Thank you for visiting and do come back! SK Derban on CIRCUMVENT COVER REVEAL! KristaLyn A. Vetovich’s Strayed Pre-Publication Blitz! Win $25 Amazon Gift Card! the book rack · Author Interviews, Guest Bloggers, Book Reviews, Book Giveaways & More!